One of the facets of college football that I love, in addition to the pageantry, the emotion, and the sheer entertainment of the game is the point spread. Despite more than 100 teams playing at various levels of interconnectedness (Auburn and Ole Miss shared seven common opponents in 2012 while Alabama and Utah State shared no common opponents), the Vegas line gives a reasonable assessment of the quality of each team. I wanted to test this quality by determining exactly how accurate the line is. To do this, I looked at every IA football game in 2012 and determined how far the final margin was from the predicted margin based on the betting line. For example, on the opening night of the college football season, South Carolina was a six and a half point favorite at Vanderbilt. This line was eerily prescient, as the Gamecocks won by four, meaning the betting line and the actual margin were off by just two and a half points. 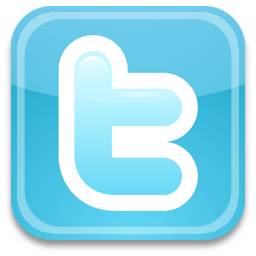 A nearly antipodal result occurred two days later on the first Saturday of the college football season. Texas State played their first game as a IA program on the road against a Houston team that had finished in the top-20 a year before. The Cougars were 34 and a half point favorites over the IA neophytes. In one of the largest betting line upsets in college football history, the Bobcats not only beat the Cougars, they won by a comfortable margin (30-13), making the difference between the betting line and the actual outcome a remarkable 51 and a half points. Surprisingly, that was not the largest difference of the year. UCLA crushed Arizona 66-10 as a slight two and a half point favorite to finish 53 and a half points clear of the spread. So we've seen both ends of the spectrum, but how did the spread perform on average? Before we get to that, full disclosure: I only looked at games between IA teams. While some sportsbooks do make lines for the 'clashes' with IAA opponents, I chose to ignore those and focus only on games involving two IA teams. Overall, of the 697 regular season games involving IA opponents in 2012, the point spread differed from the actual result by an average of 12.10 points. While that may intuitively seem high considering the reverence with which the point spread is regarded, keep in mind that the smallest amount the point spread can differ from the actual result is zero, while the largest amount is theoretically infinite (if realistically about 55). Consider that it takes about six reasonably accurate spreads (say a difference of five points) to bring the huge UCLA/Arizona outlier down to the twelve point average. So we know how the point spread did overall, but how did it perform week to week? I thought you might ask that question. Here is how the spread performed week to week in 2012. Again, full disclosure: The Army/Navy game that technically occurred in Week 15 is included in the Week 14 results because it was the only game contested that week. 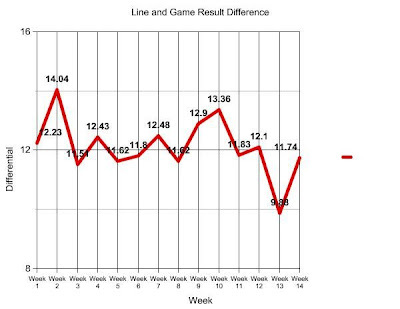 As you can see, with the exception of Week Two (a market correction of sorts occurred after sorting through the first week of games), Week Ten, and Week 13 (when the spread was extra clairvoyant in its predictions), the betting line hovered between 11.51 and 12.90 points off from the actual game results. That range of 1.39 points is less than half a field goal and a little more than an extra point. 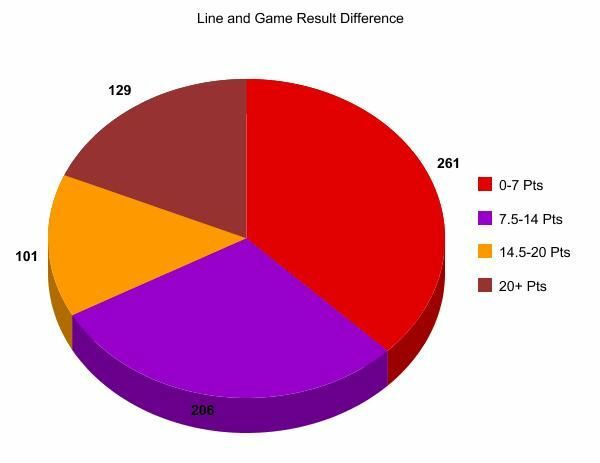 Finally, I decided to look at what percentages of the betting lines were within a given point total. I considered four ranges, and while they are arbitrary, I think they do a good job of sorting the numbers out. The ranges I used were 0-7 points (spread within one touchdown), 7.5-14 points (within two touchdowns), 14.5-20 points (almost three touchdowns), and 20 or more points (seemed like a good cutoff point). Out of the 697 regular season games involving IA opponents, 261 of them (or 37.45%) finished within one touchdown of the betting line. In other words, more than a third of the time, you're hard-earned money was one play away from either nearly doubling or floating away. Think about that the next time your buddy has a 'sure thing'. 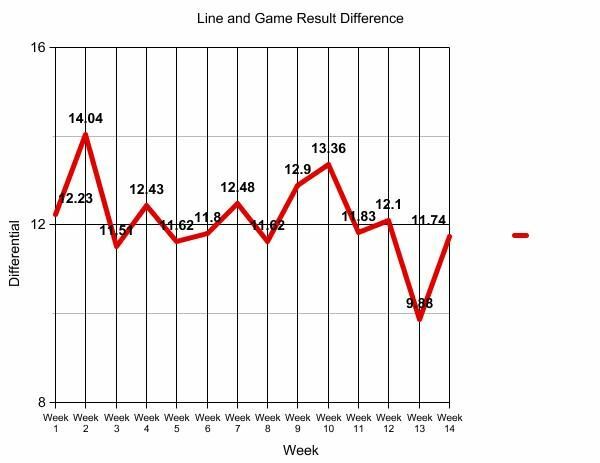 Overall, over two thirds (67.00%) of the games finished within two touchdowns of the betting line and fewer than one of every five games differed by more than 20 points.